Christmas festivities started out with Chelsea in the Christmas parade. 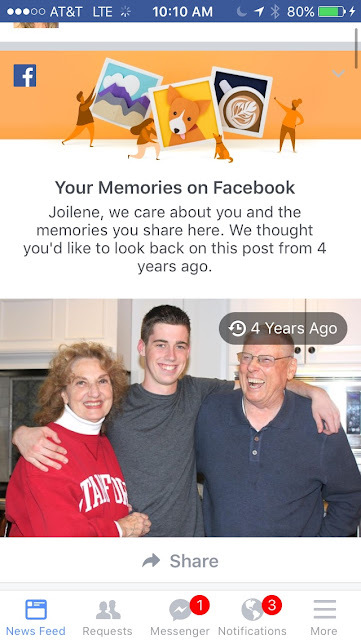 This memory showed up on my feed. Sad. . .
Stevie working on Matt's Christmas present: A Festivus Pole. Best Christmas Present Ever! A well loved Festivus Pole. Traditional reading of "Twas the Night Before Christmas." Marky's gift to Matt: Life Cereal. He went into the pantry and chose a cereal that Matt liked and wrapped it up.